Situated on the west outskirts of Durham City in a quiet village, built 1997 by the present owner, this spacious versatile 5 bedroom timber framed detached bungalow benefits an effective layout suitable for any family and all abilities. Presently used as 4 bedrooms plus a work at home office the arrangement of rooms can adjust to all needs. 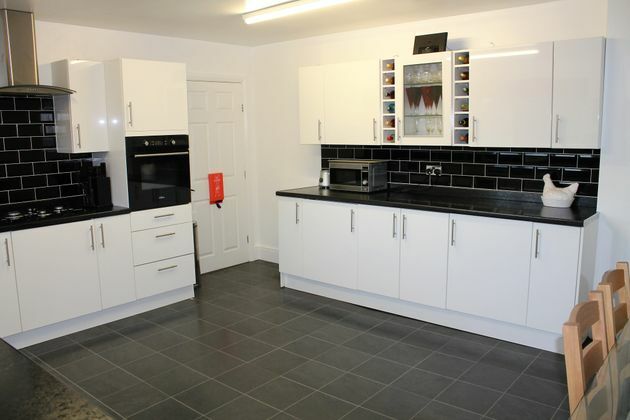 The detached garage is part furnished with kitchen units plus own toilet & shower allowing annex living accommodation if required. 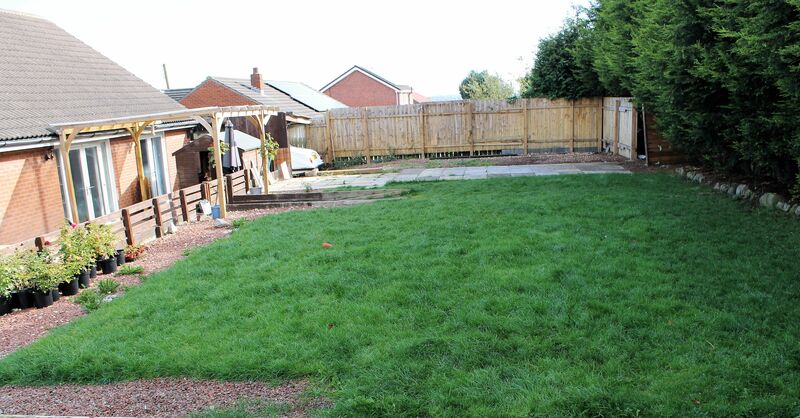 The private rear garden faces south with well-proportioned areas of grass, cultivation & paving plus a garden shed. The sun-soaked private block paved patio is accessible from a choice of three double glazed french doors. 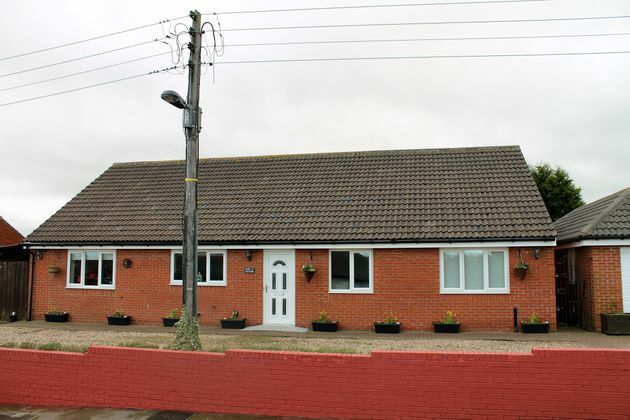 Internally the bungalow is wood laminate flooring throughout with a modern kitchen dining room, sizeable family bathroom and master bedroom with en-suite shower room. En-suite 7'10" x 3'7" (2.39m x 1.1m). The en suite has fully tiled walls and floor. The suite comprises of a thermostatic shower, white toilet and basin; in addition there is low voltage lighting and extractor fan. Bathroom 8'10" x 10'2" (2.7m x 3.1m). 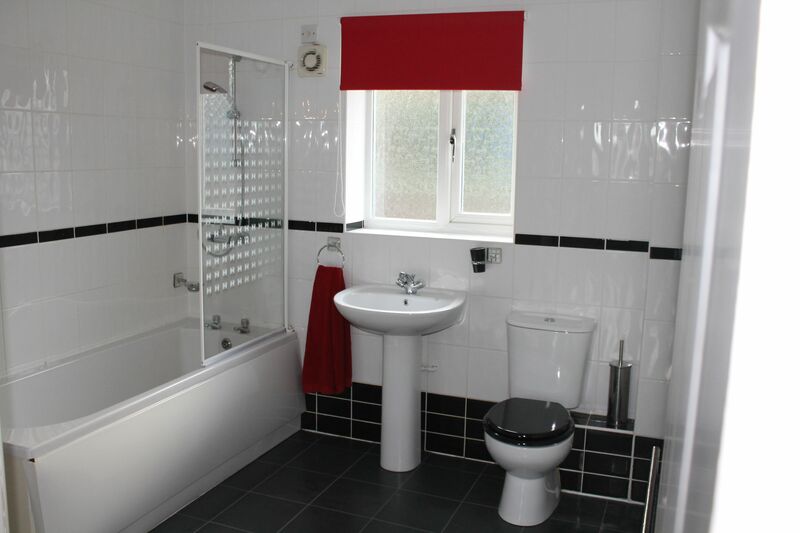 The bathroom is complete with fully tiled walls and a double storage cupboard. The white bathroom suite includes a bath with thermostatic shower, basin and toilet. Slate effect laminate flooring. Single radiator and a double glazed window. Bedroom Four 8'2" x 13'1" (2.5m x 3.99m). The fourth bedroom is a good size double room with a double glazed uPVC window facing the front. 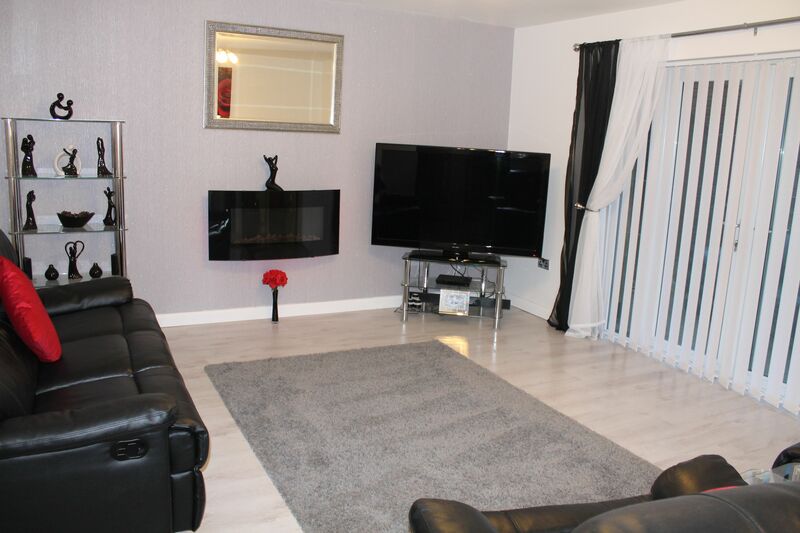 Complete with a single radiator and white limed oak effect laminate flooring. Master Bedroom 11'10" x 17'11" (3.6m x 5.46m). One of the many advantages of a bungalow means that from expansive master bedroom, through a double glazed uPVC French door, you can access the south facing rear garden. The room is warmed by a double radiator and fitted with white limed oak effect laminate flooring. 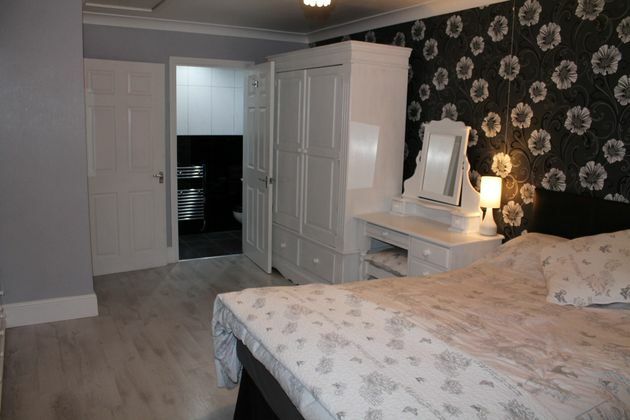 In addition the master bedroom benefits from an en-suite shower room. Bedroom Two 11'7" x 13'9" (3.53m x 4.2m). The second bedroom is a larger than average double, being a bungalow you have the added benefit of double glazed uPVC French door taking you straight to a block paved area of the south facing rear garden. In addition the room is fitted with a double radiator. Bedroom Three 11'7" x 13'9" (3.53m x 4.2m). A larger than average double bedroom complete with white limed oak effect laminate flooring and a double glazed uPVC window. The spacious room is warmed by a double radiator. Living Room 15'5" x 13'9" (4.7m x 4.2m). From the kitchen; the living room offers double glazed uPVC French doors facing south, leading on to a block paved area of rear garden. Complete with a double radiator, modern wall hung electric fire with back lighting and white limed oak effect laminate flooring. Kitchen Diner 15'11" x 13'7" (4.85m x 4.14m). Modern fitted kitchen with white gloss units to three walls creating an abundance of worktop space, built into this is an eye level electric oven, gas hob, fridge and freezer. 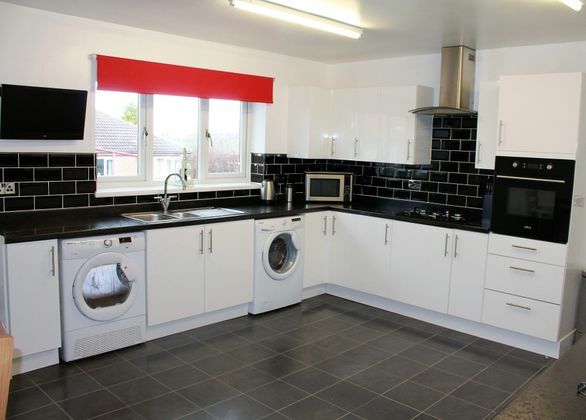 The room is fitted with slate effect laminate flooring and warmed by a single radiator. Complete with double glazed uPVC window and entrance door. Property advert Ref 3715673 - Is a property advert for marketing purposes only, the information has been supplied by the owner, estate agent or property portal and The House Shop makes no warranty as to the accuracy or completeness of the information. Furthermore we have no control over the adverts content. This property advertisement does not constitute property particulars. Please contact the advertiser to obtain any information regarding The Energy Performance Certificate regarding homes in England and Wales or Home Report for residential property in Scotland.